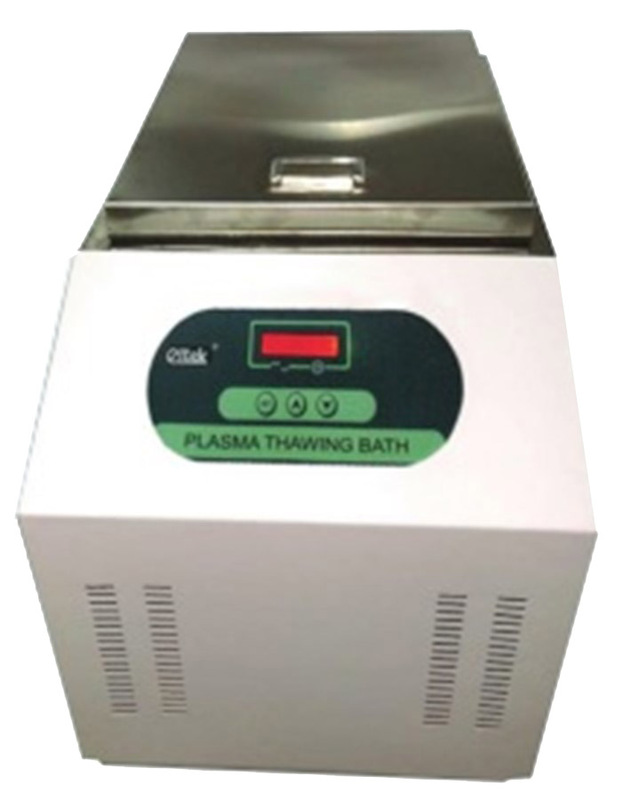 'Eltek' min controller based Plasma thawing Bath is designed for quick 'hawing at plasma at 37'C,Temperature is controlled by LCD temperature controller It has smooth acrylic trays to ensure the safety of plasma bags The magnetic pump maintains precise temperature uniformity inside the It is specially designed for safety and reliably thaw fixed frozen plasma (FFP). Glass wool insulation improves temperature stability and energy efficiency. Magnetic pump tar internal liquid circulation for uniformity. Audi-Visual alarm when the temperature deviates from the preset temperature. The equipment calibrated With the help Of master calibrator, which is certified its accuracy by Electronics Regional Test Laboratory (ERTL-Mumbai).